Shakespeare, William. Romeo and Juliet: A Tragedy in Five Acts. 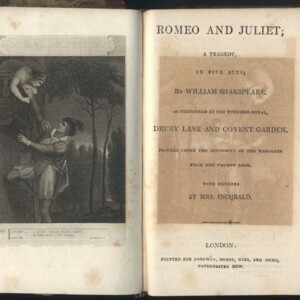 The British Theatre, or, A Collection of Plays which are Acted at the Theatres Royal, Drury Lane, Covent Garden, and Haymarket, Mrs. Inchbald, et al. 1808, London. 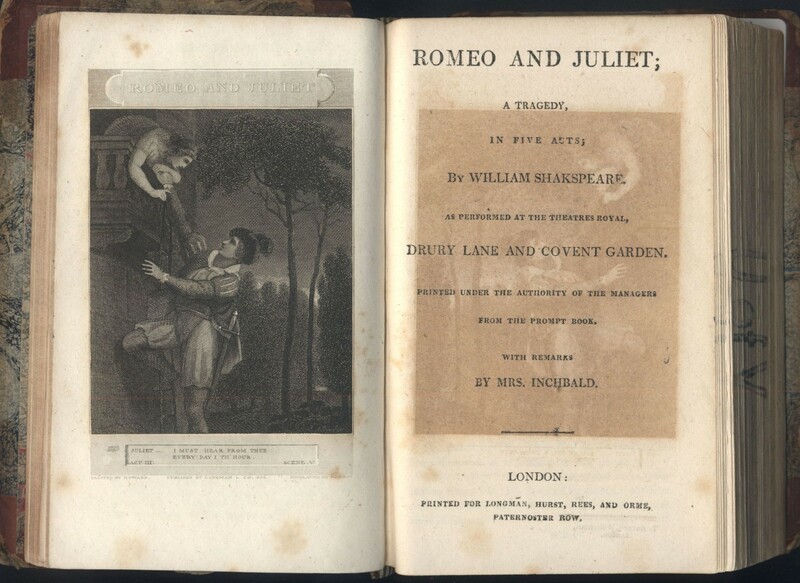 William Shakespeare and David Garrick, “1808 Romeo and Juliet Title Page,” UVic Libraries Omeka Classic, accessed April 21, 2019, http://omeka.library.uvic.ca/items/show/1473.